Thank you for your interest in Landau Forte College Derby. We hope you enjoy reading our prospectus and finding out more about the opportunities that we offer to our students. We hope you will be encouraged to apply. Our students, their learning and achievement are our priority and we unashamedly expect a great deal from them. Our high expectation coupled with your high aspiration and ambitions for your child are all key ingredients in the vital partnership between the College, the child and the home. It is this partnership which provides the cornerstone for your child to succeed. We will ensure that students have the support and guidance required to help them to become successful and responsible members of society. 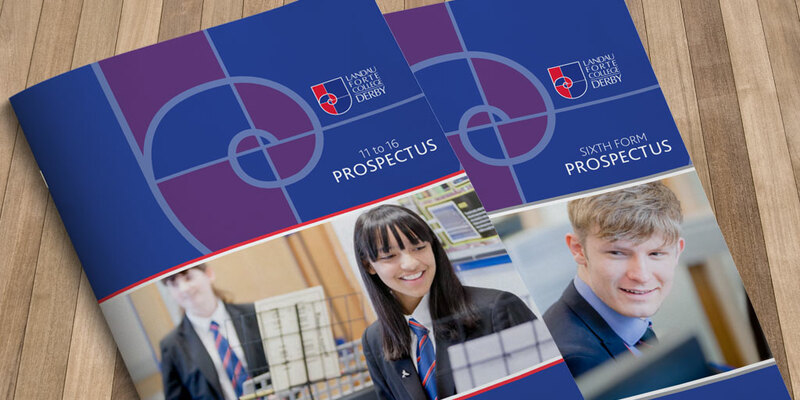 Our 11 – 16 and Post 16 prospectuses are available to view online or download as a PDF. Alternatively, you can request our latest Year 7 or Post 16 prospectuses using the form below. More information about how to apply for a place at the College can be found on our Admissions page (for Year 7 admissions) or our Application Process page (for Post 16 admissions).